Posted by Benjamin Dell on Feb. 11, 2016 . Updatey has been around for 2 years now. During this time we've experimented with what feels like a lot of things (from pricing to features, landing pages to on-boarding). Remarkably though, we've done little to no experimentation on the blog it-self! Our blog, in short, has remained pretty much unchanged since we first launched. We don't have any clear CTA's (Call to Actions), meaning we also have no facility for our readers to subscribe to updates when new blog posts are published. In fact, we simply relied on the hope that our readers would read an article and feel curious enough to click the pricing or sign-up link in the header. Clever stuff right? I mean how could a strategy like that fail? Please don't answer - I'm embarrassed enough having to write that sentence! This week, I tasked myself with re-inventing the blog, it's goals and purpose. In this article i'm going to talk about why giving your blog a theme or a purpose is key to attracting and retaining readers as well as the decisions we have made about our blog and why. I've long admired a small selection of SaaS businesses for the quality of the writing on their blog, as well as the approach and structure of the blog it-self. Immediately you're made aware of the blog's purpose. You're also given a pretty clear indication as to the value you should expect to get from the blog as you read it week in, week out. It almost makes it a no-brainer to enter your email address so that you can be kept up to date with their latest lessons and stories. Whilst Baremetrics aren't inviting you on a journey as such, they are absolutely striving to achieve something specific (such as revenue, size, etc). It is also still patently clear that you will get a healthy amount of advice, direct from the trenches. GrooveHQ and Baremetrics represent just a couple of blogs out there that are hot on the heels of the trend around growth / product-market-fit transparency. The warts and all approach is hugely popular. It's real, raw, based on experience (rather than theory) and sets out a clear theme for the blog as a whole. These are traits that our blog should be aiming for as well. As much as we'd like to think it's possible; being all things to all men is almost always the wrong way to go. This is just as true for your blog. Writing content aimed at too broad a demographic can be too much of a scatter-gun approach. It's also worth noting that as the writer of a blog like this, you will soon become fatigued with the sheer scale and openendedness of the articles you 'should' be writing. Project managers... the obvious choice? Although Updatey is a project management tool; our team is not made up of hardened, seasoned project managers. Sure, we have a good sense as to what makes a project successful and have a ton of ideas on how to make projects more transparent to external stakeholders (clients etc). Nonetheless, it would be unauthentic of us to present ourselves as knowledge leaders in this space. We'd also run out of things to talk about pretty quickly, I can tell you! If not Project Managers, then who? Founders, business owners and leaders? As much as we don't want to talk unauthentically about Project Management techniques, we definitely do want to talk about direct experiences, successes and failures. We're a small team and very much living day to day as a true startup. We feel we have a lot to talk about when it comes to things we've tried (or trying) in order to improve visitor numbers, conversion rates, churn rates and of course, MRR. It's topics like these, that we hope will become attractive to fellow founders, business owners and leaders more generally (whether of companies or departmental). With the target audience decided upon, the question around the theme it-self was up next. 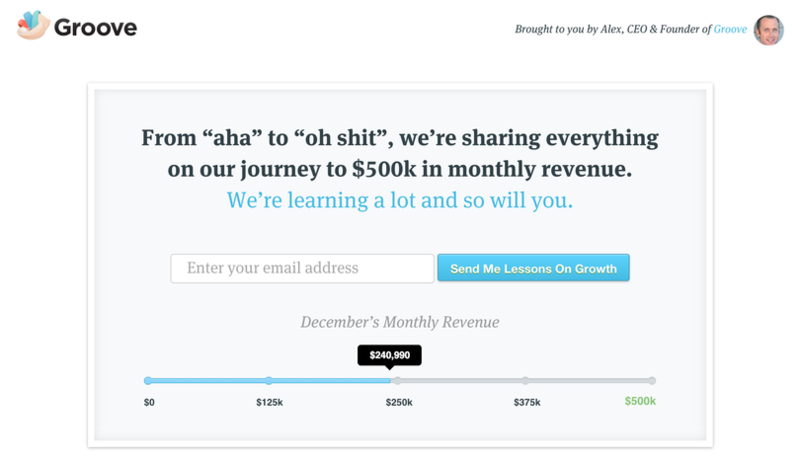 Taking an unashamed cue from the above blogs, we decided to title ours "From zero to $20k a month". We are, without doubt, keen on being as transparent as possible and can't wait to share ideas and stories with the community. We've opted to start with a fairly low target of $20k in MRR (Monthly Recurring Revenue) to give us a goal that feels reachable in the short to medium term. We also want the majority of our readers to stumble upon our blog and feel as though our MRR target is one that they can easily associate with. Disclaimer: we haven't yet reached $1k in monthly revenue - so we absolutely have a lot to discuss, experiment with, pivot on and then write up to share with our readers. Like any startup, we have a handful of KPI's (key performance indicators) that we focus on. 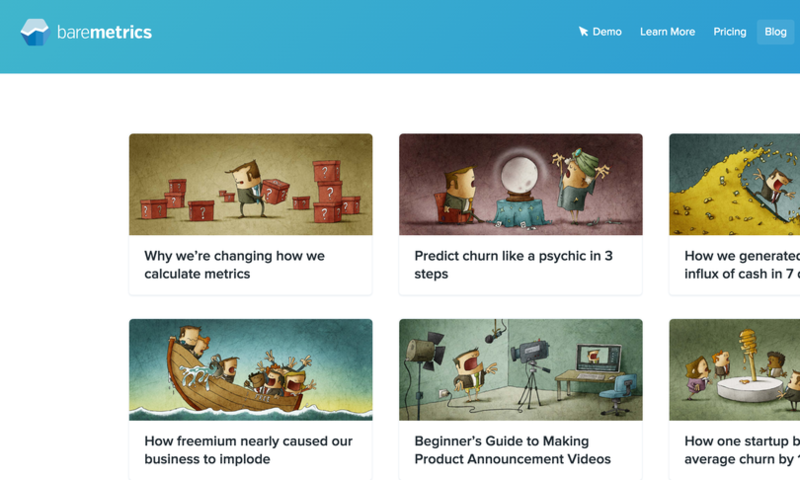 Our aim is for this blog to become an organised collection of stories, direct from the trenches (good or bad) on experiments and exercises we've undertaken to try and tackle each of our KPI's, and the companies growth more generally. Don't do what we did and take 2 years to get serious about your blog and its purpose. Driving inbound traffic is perhaps one of the most important things you should be focusing on. Small levels of traffic equates to small opportunities to create new customers. When it comes to deciding on your blog's purpose - don't be afraid to gain inspiration from leaders in your space, or those that you admire. When you've found a topic / theme / purpose for your blog - make sure you ask yourself this one question - "can you write authentically about the chosen topic?"